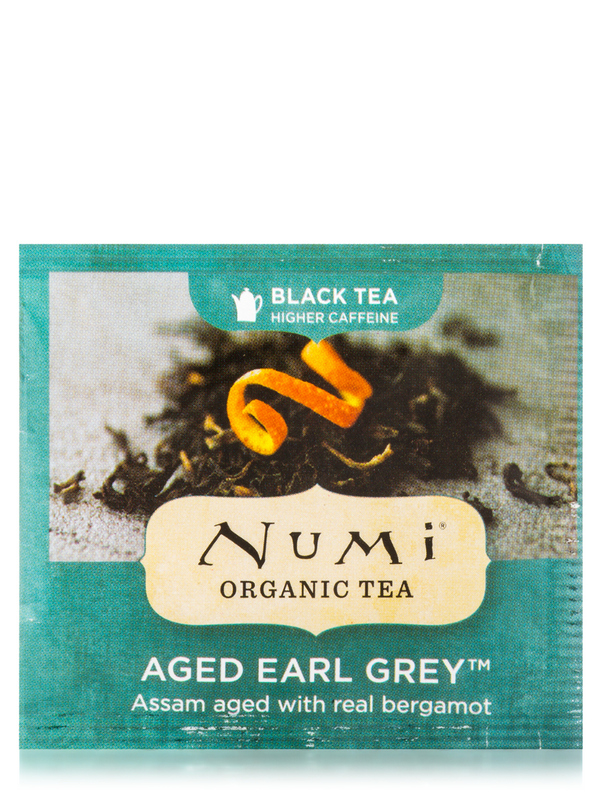 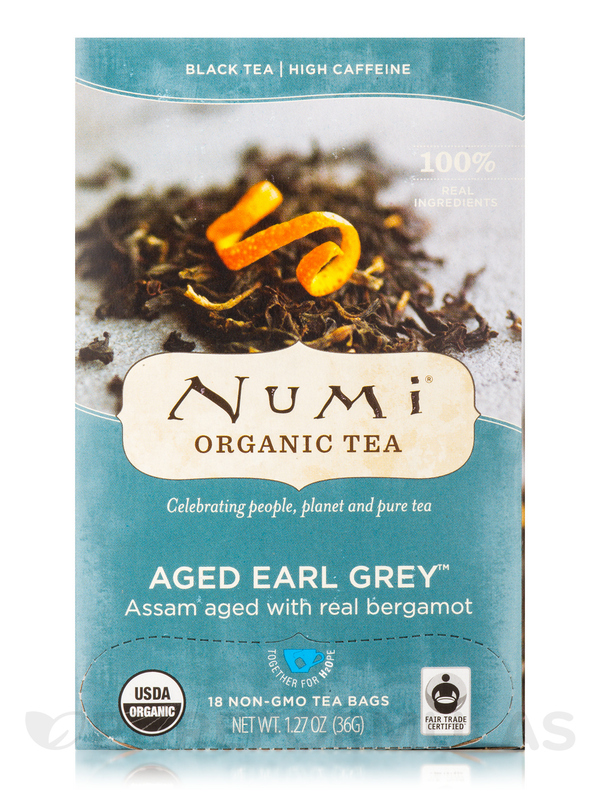 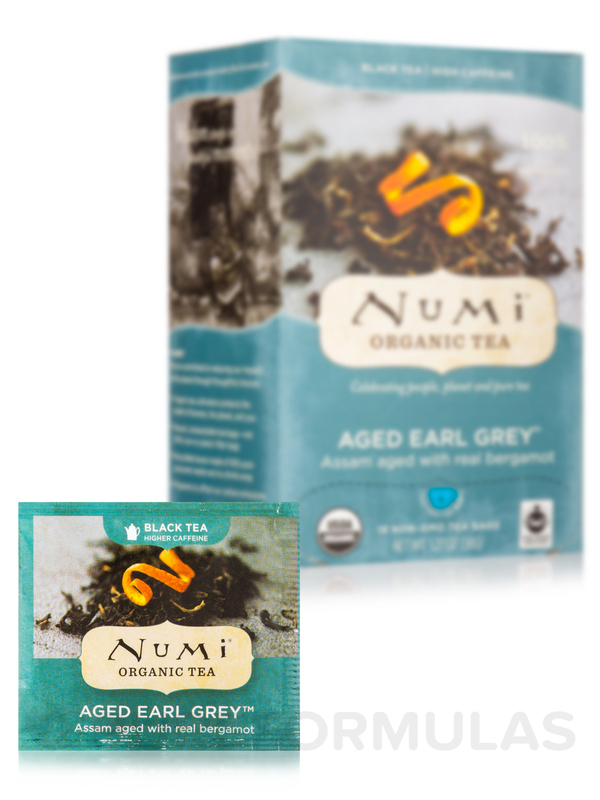 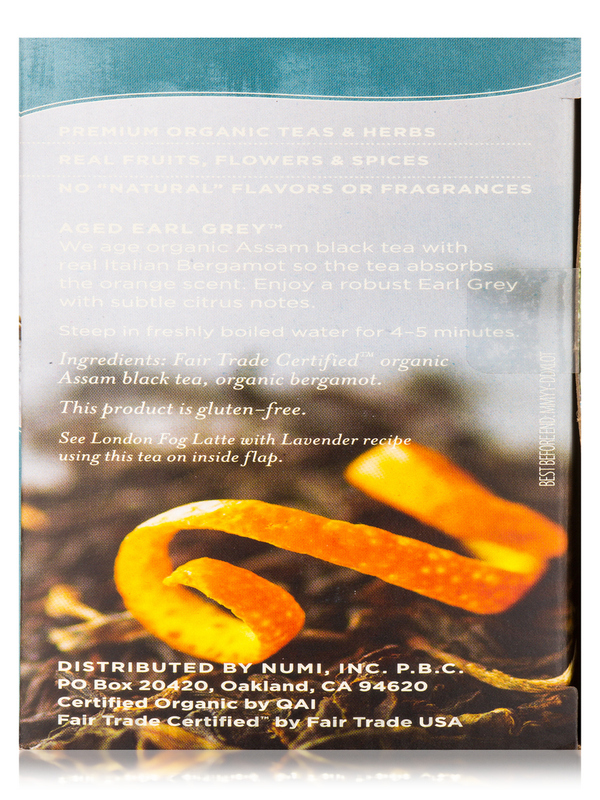 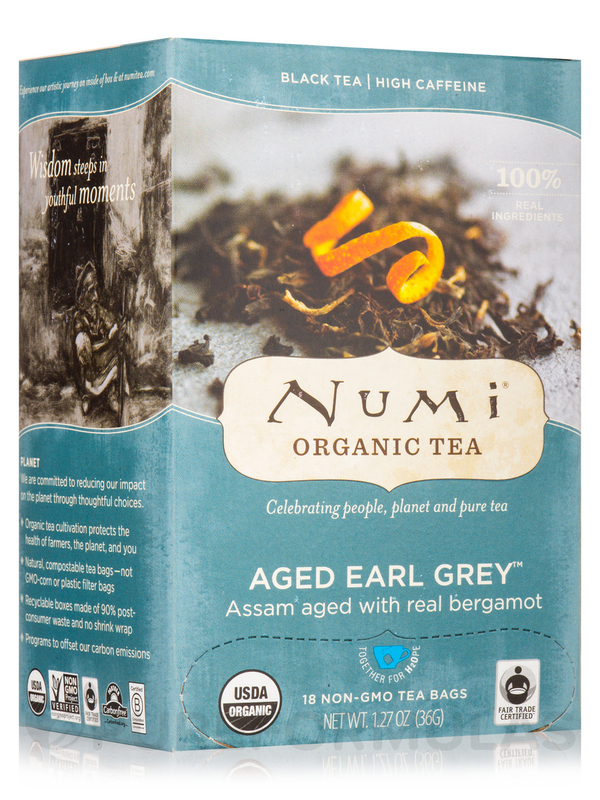 Numi age organic Assam black tea with real Italian Bergamot so the tea absorbs the orange scent. 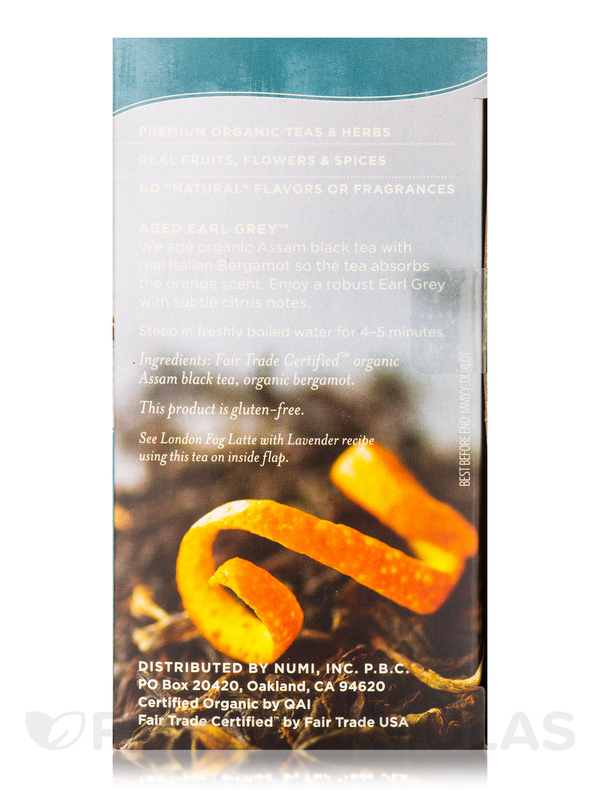 Enjoy a robust (flavorings-free) Earl Grey with subtle citrus notes. 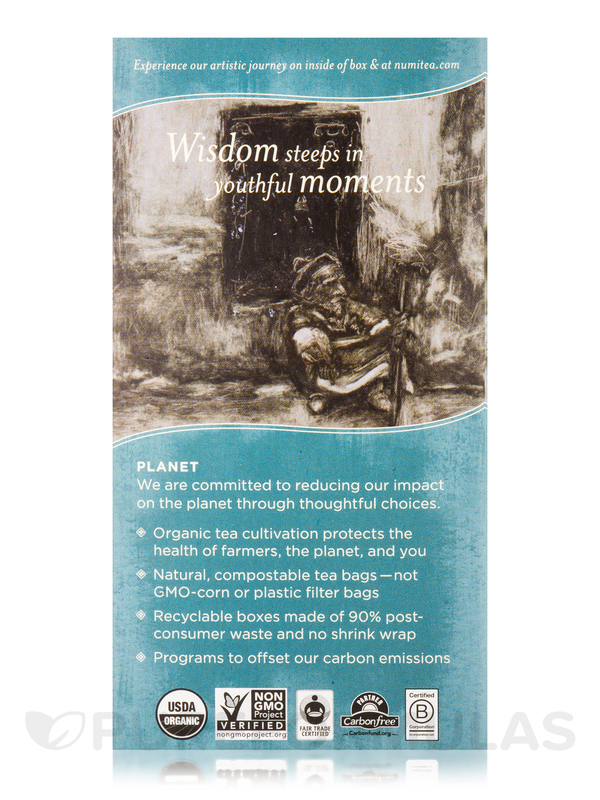 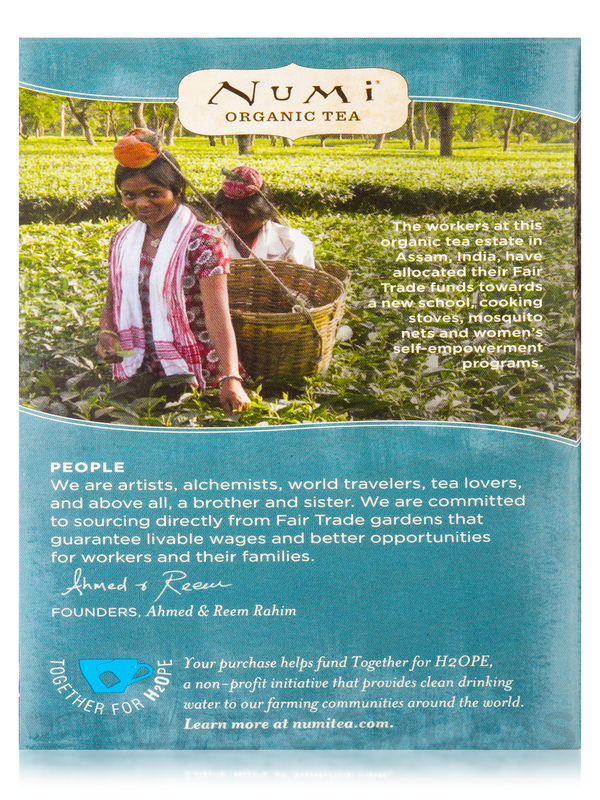 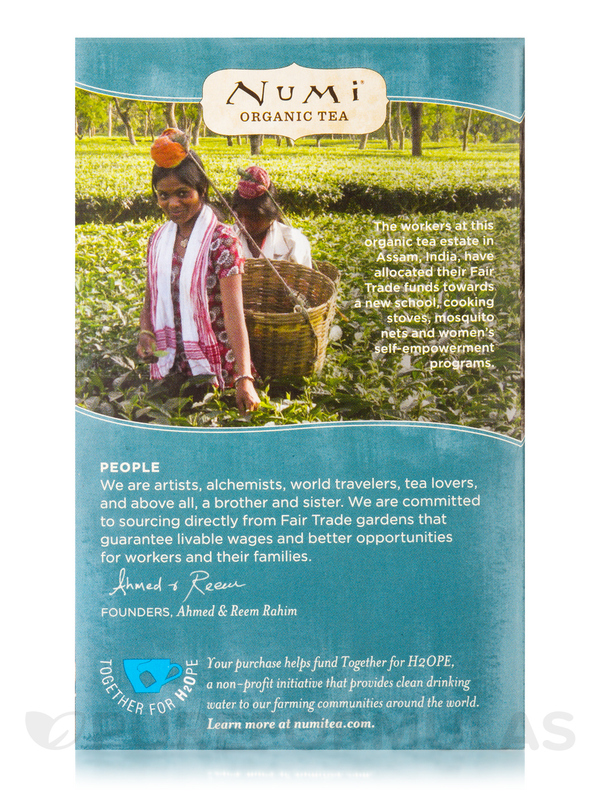 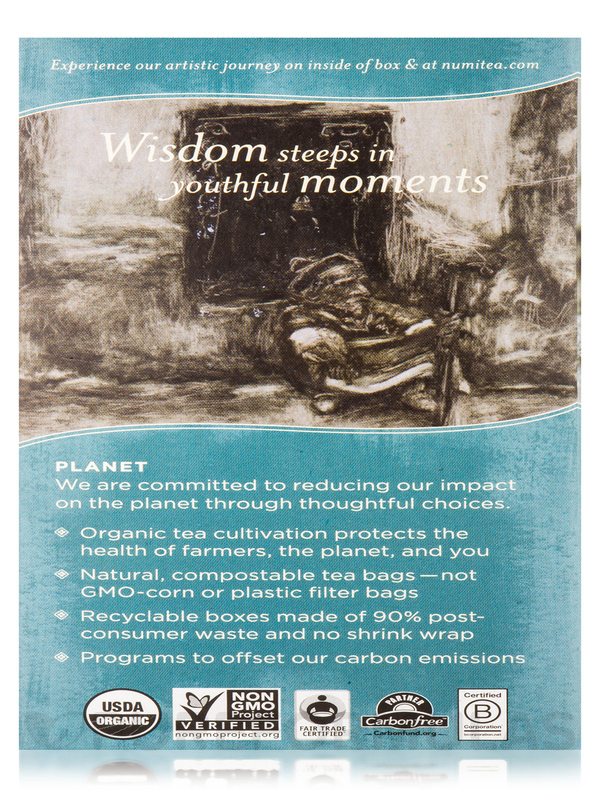 Fair Trade Certified organic Assam black tea‚ organic bergamot. 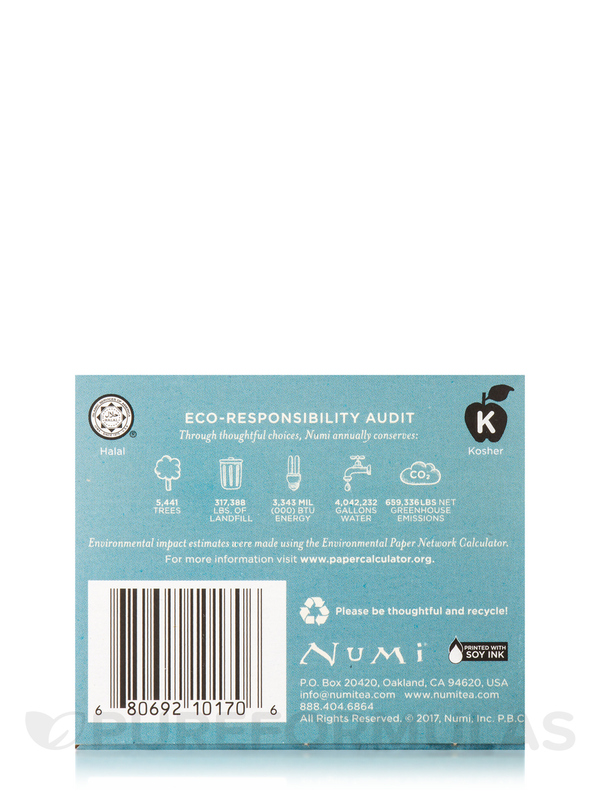 Gluten-Free / USDA Organic / Non-GMO Project Verified / Kosher.